us to perfect our services down to the smallest possible detail. Why should you have an auto glass tinting service performed by Sun Stop Tinting? Our company is the number one car tinting provider in Austin, TX and all surrounding areas. The reasons why you should have your car’s windows tinted at all are many. One of the most important ones of them is protection against harmful UV rays. Sunshine contains UV rays which can increase your risk of deadly skin cancer. Nothing is more important than your health, so make sure your windows are properly equipped to filter the UV rays that are so bad for you. Another reason for tinting your windows is glare reduction. Sun glare on your windshield is not just unpleasant. It may also cause accidents on the road, as it may blind you. Tinting your car’s windows will help eliminate this problem. Another issue that tinting can prevent is the likelihood of your car overheating in the summer. Overheating is not good for the passengers of a car. It can cause serious health problems, especially for small children and the elderly. 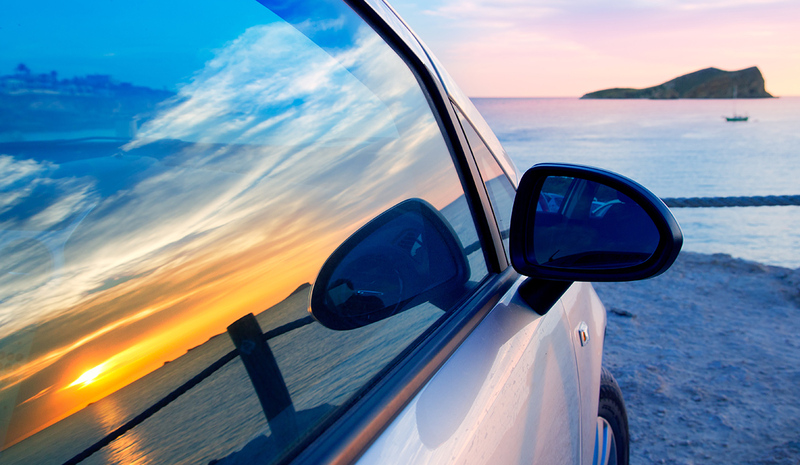 Tinting your windows can successfully help you reduce the amount of gas you use for cooling your car. Last, but not least, tinting your car glass makes it less likely to break and hurt the people in the car. It takes special skills to perform car tinting properly, and our company has all that is necessary to do the perfect job. The expertise of our staff is unsurpassed, and the tint films that we use are of a high quality. Call us today at (512) 296-8788, for the finest tinting service in your area. Our company also provides affordable commercial and residential tinting services.